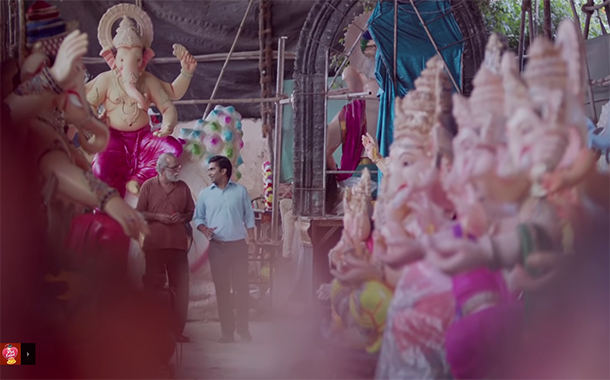 Mumbai: Brooke Bond Red Label has launched – Shree Ganesh Apnepan Ka, a campaign to celebrate the spirit of togetherness. Conceptualised by Geometry Encompass, inspired by real-life stories, the campaign delves into deep-rooted human prejudices. It encourages everyone to open their minds and break the shackles of their own notions to come together. The film was shot in a Ganpati idol pandal, one of numerous that can be seen on the streets of Mumbai, weeks before homecoming of Bappa (Lord Ganesha). Devotees visit pandals to book (purchase) an idol for the occasion and spend hours choosing the perfect one. The film is a conversation between an idol-maker and a first-time buyer of the idol. In the conversation, certain unknown facts about Bappa are revealed, along with what it truly means to bring home the ‘lord of new beginnings’.